Ocala, Florida – Caroline Martin is very pleased to announce her brand partnership with Likit Equine Products. Likit equine treats and toys uses the finest human grade raw food in its formulations which were developed in conjunction with equine nutritionist, Dr. Derek Cuddeford BSc, MSc, PhD. Every Likit product is manufactured in Ayrshire, Scotland in a purpose built factory to maintain quality control. Likits provide horses relief from the boredom of spending time confined in stalls, small paddocks or on trailers and lorries. From stable toys to paddock Likits, there are many Likit product options to help make your equine partner a happy horse. The Likit challenge system, which is designed to grade the different levels of challenge for each toy, ensures that a horse’s environment is enriched to help alleviate boredom and vices such as cribbing and windsucking that often develop in confined animals. Likit Products are stocked by retailers in the United States, United Kingdom and around the world. Please click the highlighted link for more information on Likit Products or to find the nearest retailer. Lexington, Ky. –The US Equestrian (USEF) Eventing Sport Committee has approved the following 15 athletes from a pool of applicants for the Emerging Athlete Eventing 25 program for 2018. 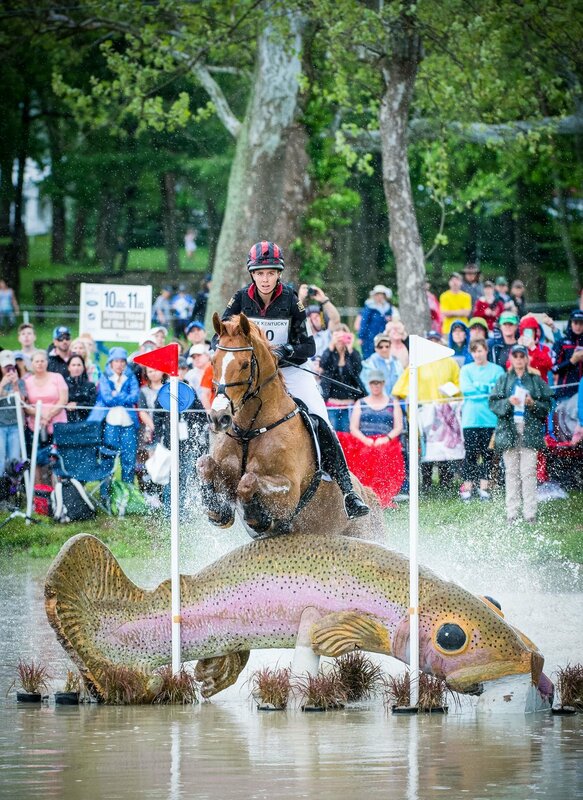 This follows the list of athletes named to the Emerging Athlete Eventing 18 program list. Gladstone, N.J. – The United States Equestrian Team (USET) Foundation is pleased to announce that this year’s recipients of the Jacqueline B. Mars Competition and Training Grants are Caroline Martin and Doug Payne. Martin and Payne were recognized and unanimously selected by the US Equestrian eventing selectors due to their impressive records and future in representing the United States in international competition. Norfolk, England – The Land Rover U.S. Eventing Team secured a third-place finish in the FEI Nations Cup at the Saracen Horse Feed Houghton International Horse Trials CICO3*. I am very excited to announce my partnership with Triple Crown Feed. Not only do my horses enjoy eating it, it gives them the next gear they need for optimum performance cross country. My horses look great, and their muscling and coats have never been better. With a wide range of performance feeds to choose from, Triple Crown keeps my top horses fueled and my young ones ones healthy and happy. Triple Crown has been an outstanding supporter of young riders for a long time providing support and valuable equine nutritional education. I am so proud to be a part of their team and I recommend Triple Crown to everyone because they care about each and every customer. Gladstone, N.J. - Feb. 25, 2016 - The United States Equestrian Team Foundation is proud to announce that Caroline Martin and Jenny Caras have been named as therecipients of the 2016 Karen Stives Endowment Fund for High Performance Eventing Grant.